This year, I've been well and truly swept away with the Christmas rush. In between creating orders for my handmade holly garlands, I've been planning presents, food and decorations. I'm now all shopped out but there are plenty of girly gifts that I've discovered for those of you who still have last minute gifts to buy. I've been lusting after Charlotte Tilbury's much coveted makeup range. Her Bronze and Glow compact is so luxurious and would be perfect for any beauty junkie. Those who love a bit of baking would love the Meringue Girls Cookbook. Ideal for those who like to whip up something tasty in the kitchen, this book has loads of creative recipes and the photography is lovely! I think these bits and bobs would be perfect for best friends and sisters. 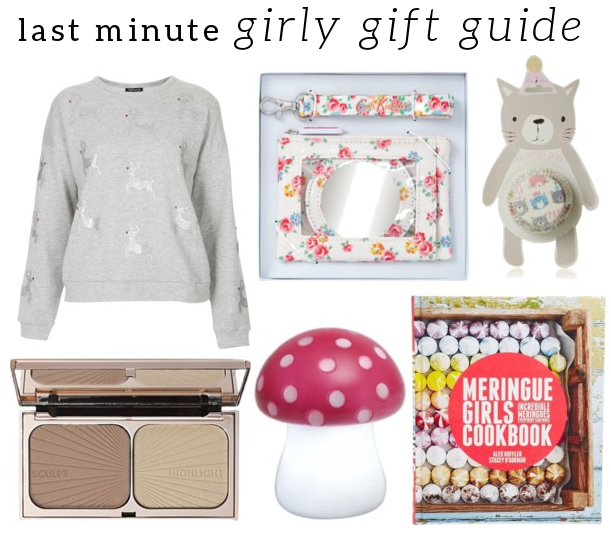 My personal favourite it the toadstool nightlight - amazing for snuggling up in the Topshop reindeer sweater! 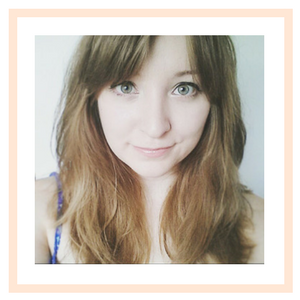 Great post, I am desperate to try something from the Charlotte Tilbury range, everything looks so pretty!